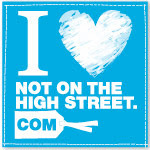 For the past 3 years notonthehighstreet.com have been celebrating the success of it's partners with their Make Awards. 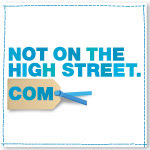 There are over 3,000 partners on the site now, so to be shortlisted for an award is a fantastic achievement. The shortlist for the awards was announced a few days ago and the winners will be announced at The Make Do & Meet to be held in London later this month. Well done to all who have made the shortlist, now the trauma starts in deciding what to wear to the event. I remember your shoe trauma of last year! Good luck Ali - you certainly deserve to be shortlised - and good luck to everyone else - some really amazing products in there. Thanks Pamela, I'm already thinking about what shoes to wear for this year. I feel that I need heels but I don't have any comfy heels, trauma!